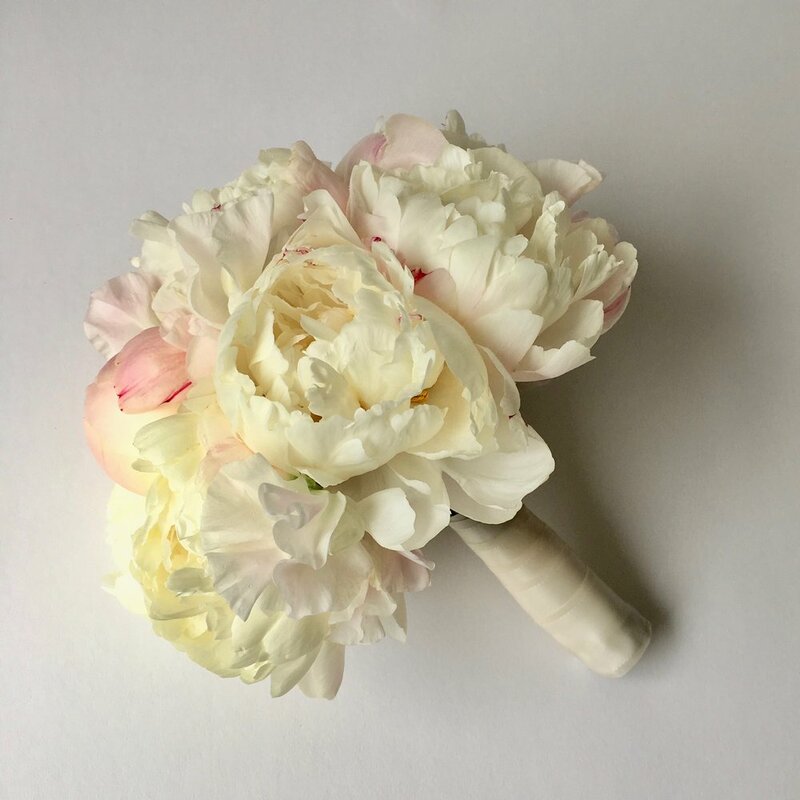 In this video Kelly uses blush peonies and sweet peas to create a classic round wedding bouquet with a full stem wrap and no foliage. Start with the largest, most beautiful peony. Assess shape with each addition of a new flower, scanning the piece for dark spots. Sweet peas function as “look alike” petals for the peony, filling in space too large for another peony. They also add another layer of fragrance. Use Oasis Waterproof Tape in ½ inch to bind the bouquet and wrap it back on itself for a double-stick effect, making it easy to attach ribbon. We purchased ours from Mayesh Wholesale. This satin ribbon is from May Arts Ribbon.